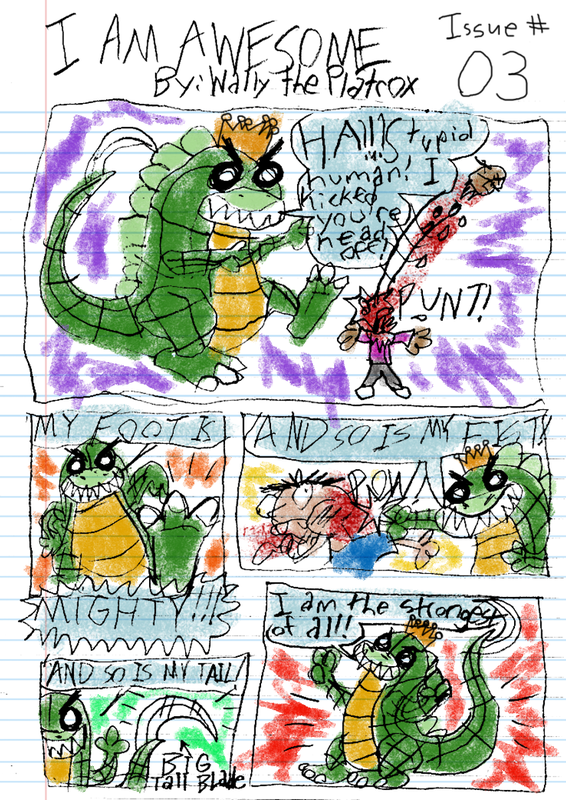 The Adventures of Wally the Platrox - "AoWtP – Page 03"
Good day, vulgar primates! Once again I’ve been drafted to fill in for the weak, pitiful author while he struggles to build up a buffer. Meanwhile I can produce far superior work at a much faster rate! He should just let ME draw the comic from now on! As for the site, drawings have been added to the art gallery and Minnidar has been added to the Kreature archive.